COLUMBUS — Gov. 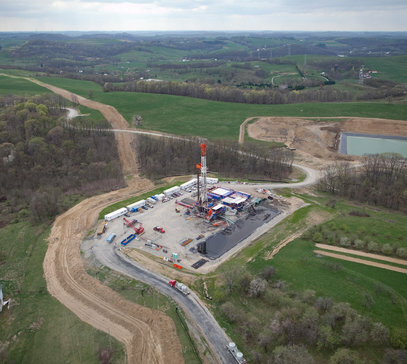 John Kasich is pursuing the multibillion-dollar ethane-cracker facility that Shell Chemicals LP plans to build in Ohio, West Virginia, or Pennsylvania to capitalize on the increasing harvest of natural gas from Marcellus shale. The American Chemistry Council estimates that the plant would generate 17,000 jobs in chemistry and other industries as well as $1 billion in wages and $169 million in tax revenue. A decision on the site is expected early this year. Mr. Kasich flew to Houston in November to woo company officials. He handed them a stack of supportive letters signed by Republican teammates and Democratic rivals. More about the cracker plant…. A decision on which gas-rich state to locate a $2 billion Shell Oil Co. natural gas processing plant is “imminent,” the Cleveland Plain Dealer reports. Shell could build the plant, expected to create hundreds of jobs, in West Virginia, Pennsylvania or Ohio, the newspaper reports. 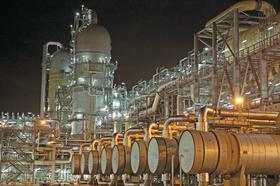 The plant, called a “cracker,” would help turn ethane into ethylene for plastic, the newspaper reports. All three states have offered tax breaks to the company, and Gov. John Kasich flew to Houston in the fall to pitch Ohio to company executives, the newspaper reports. 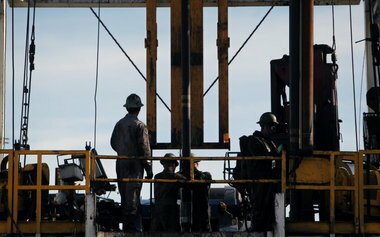 Ohio has not divulged the details of the incentive package it offered Shell. All three states are reported to be offering tax breaks and other incentives to try and lure Shell, which has given no hint of its affections. Major cities like Cleveland are not considered contenders but they could certainly be affected. Any location will likely be rural, but not remote. The plant needs hundreds of acres of land, according to Dan Carlson, Shell Chemical’s general manager of new business development in the Americas. Shell would also like access to railroads, river barges, a skilled workforce and university researchers, Carlson said via email.